The textbook definition of a cannabinoid is (noun) “any of a group of closely related compounds that include cannabinol and the active constituents of cannabis.” These “active constituents” are roughly 80 of the 480 chemicals naturally occurring within the cannabis sativa plant, also called marijuana. Cannabinoids are the chemicals responsible for marijuana's effects, both the “high” and other physical effects like increased appetite. Scientists are still studying these various chemicals to answer the question "what are cannabinoids?" and to find out how they work and whether or not they are useful to us as medicines. There is more than one type of cannabinoid, and each chemical is slightly different and therefore affects the human body in various ways. First are the phytocannabinoids, which are found in the cannabis plant itself. There are also endocannabinoids, or cannabinoids that have been created by the human body; They are taken up by cannabinoid receptors in the brain and body. Lastly, we have synthetic cannabinoids, which were developed by drug researchers to mimic the effects of natural cannabinoids without the side effects, producing medicines for a variety of disorders. 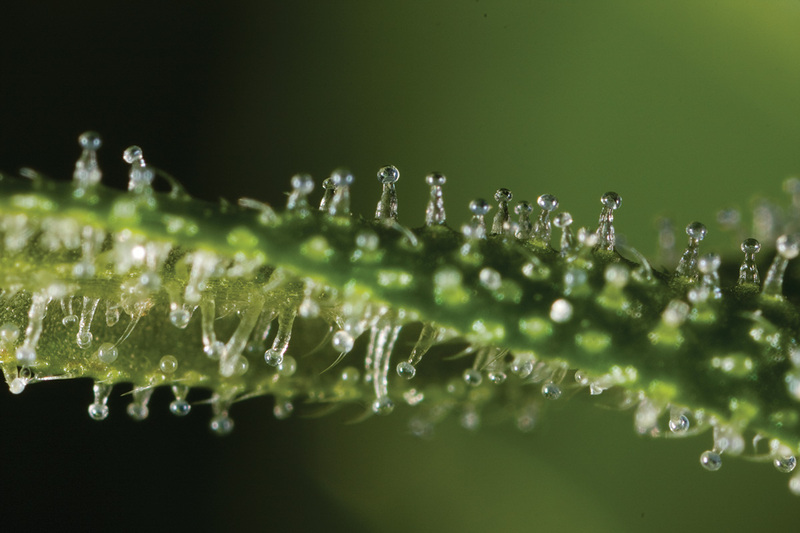 What Are Cannabinoids Created by the Cannabis Plant? The active chemicals found in the flowers of the cannabis plant are called phytocannabinoids. Phyto- is the Greek prefix meaning "plant," so this class of cannabinoids is naturally occurring in the plant itself. They occur not only cannabis but other plants as well. Let’s take a look at these chemicals to see how they affect the human brain and body. Phytocannabinoids: The most common naturally occurring cannabinoids are tetrahydrocannabinol or THC and cannabidiol, also known as CBD. THC is the chemical in cannabis that produces the euphoric feeling associated with marijuana use, while CBD has no known psychotropic effects. Research shows that CBD can actually reduce the psychoactive properties of THC. Therefore, a plant with more CBD will have less psychological effects than a cannabis strain with more THC present. Many strains of cannabis cultivated for medicinal use have higher concentrations of CBD to maximize their medical effects and to mitigate the psychological effects of THC. Cannabidiol (CBD): This chemical compound accounts for 40 percent of cannabis extract, so it could be called the most abundant cannabinoid in the cannabis plant. The effects of cannabidiol are anti-seizure, anti-anxiety, and pain relieving. As there are no psychotropic effects, CBD is not classified as an illegal substance and not regulated in the same way as THC. Other non psychoactive cannabinoids—Cannabigerols (CBG) and Cannabichromenes (CBC)—are compounds in cannabis that also do not have any psychologically active properties. These phytocannabinoids have anti-inflammatory, antibacterial, and analgesic properties. CBC has also been purported to have anti-cancer properties, but more research is needed to confirm. Tetrahydrocannabinols (THC): Tetrahydrocannabinol is the chemical responsible for the euphoric feeling produced by marijuana use, and, as such, is classified as a controlled substance. The main medical effect of THC is anti-nausea, and it has been prescribed in pure form as an anti-nausea remedy for decades, particularly for HIV/AIDS and chemotherapy patients. It can also help relieve symptoms of menstrual cramps, sleep apnea and insomnia, chronic pain, and mental disorders like OCD and Alzheimer's. Other psychoactive cannabinoids—Cannabinol (CBN) and cannabinodiol (CBDL)—are chemicals in the cannabis plant that are known to have psychological properties. These lesser-known compounds are sedative and antibiotic, and CBN is a biological byproduct of THC. What Are Cannabinoids Created by the Brain? These are called endogenous cannabinoids, meaning they are created by the body itself, and the term is sometimes shortened to endocannabinoids. These chemicals bind to the cannabinoid receptors in our bodies to produce various effects similar to phytocannabinoids, and they are all part of the endocannabinoid system. The endocannabinoid system: For a long time, we thought cannabis affected the human brain in the same way as alcohol, altering our consciousness and relaxing us. Recent scientific studies have shown that it’s much more complicated than that, as we have naturally occurring cannabinoids in our body as well as receptors for them. The endocannabinoids and receptors are called the endocannabinoid system. Though we’re still not entirely sure of everything this system does, we know it affects reproductive functions, appetite, immune response, memory and sensory information processing, as well as involuntary movement such as seizures. The endocannabinoids: When cannabinoid research revealed receptors in our brains for cannabinoids, scientists concluded that there must be similar naturally occurring chemicals in the brain to bond with them. As we looked at the effects of cannabis in the brain, we discovered that it interfered with the work of these endogenous cannabinoids. Let’s take a look at the two most studied endocannabinoids. Anandamide (N-arachidonoylethanolamine): This endocannabinoid acts mostly in the nervous system, both in the brain and in the body, and it binds mostly with CB1 receptors. Anadamide is connected with memory formation, appetite and reward, and embryo implantation. This chemical might also inhibit the growth of cancer cells, but the research isn’t conclusive. 2-arachidonoylglycerol (2-AG): Though not too much is known about the function of this endocannabinoid, scientists know that it is the primary binder for the CB2 receptor, and they believe that it is involved in immune response as well as response to injury and pain. What is a Cannabinoid Receptor? These are hormone receptors in the brain that are similar to other receptors in that they take in certain chemicals to produce a certain effect. A well known example is the morphine receptor, which bonds with opioid drugs to produce euphoria and pain relief. Cannabinoid receptors work similarly, stimulating the reward centers of the brain, as well as the limbic system, which controls memory and emotion. Other cannabinoid receptors are present in the body, specifically the immune system and reproductive organs. Scientists have found two types of cannabinoid receptors in the human body, though there is a possibility that more may exist but haven’t been defined yet. Some known protein receptors in the brain are suspected to react to cannabinoids as well, but aren’t yet classified as such. All cannabinoid receptors are similar to other cell membrane receptors that receive proteins. CB1: These receptors are found mainly in the brain, where they control the neurological effects of cannabis. They are found in the limbic system, which controls emotion and reward, as well as in other parts of the brain that control sensory information, appetite, and memory. CB2: These receptors are found mostly in the body, specifically in the immune system. Some are also located in the reproductive organs as well, where cannabinoids regulate many reproductive functions such as sperm formation in males and embryo implantation in females. What is a Cannabinoid Drug? As we learn more about the effects of cannabinoids on the body and the answer to "what are cannabinoids? ", scientists are looking to develop drugs based on these naturally occurring chemicals that will hopefully avoid the risks and unwanted effects of cannabis use. These types of cannabis-based drugs are called synthetic cannabinoids or "synthetic analogues," meaning that they are created in a lab and are analogous to naturally occurring cannabinoids. Pharmaceutical manipulations of the cannabis plant are constantly being tried in order to tweak the cannabinoid concentrations as well as create new synthetic cannabinoids. By creating our own cannabinoids and using natural ones, we can create drugs for treatment of a wide variety of diseases from epilepsy to hypertension. The goal of most drug researchers is to create a drug that will have all of the curative properties and little side effects. So far, there are several synthetic cannabinoids on the market. Donabinol/Marinol, an oral synthetic cannabinoid preparation, has been on the market since 1985, and another man-made cannabinoid that’s supposedly more potent than phytocannabinoids is marketed as Cesamet/Nabilone. What Are Cannabinoids' Medical Uses? Cannabis has been used as an herbal remedy for thousands of years, but it was classified as a drug because of its side effects. No other medicine has been as hotly contested, but we are finally able to research all the compounds in the cannabis plant and give relief to millions in the form of cannabinoid-derived medicines. Some of the first medical uses were anti-nausea for chemotherapy patients and those suffering from HIV/AIDS. With the new anti-spasmodic effects discovered, we’re now making many cannabinoid drugs to fight epilepsy. With decriminalization sweeping across many states, more research opportunities are opening up.